Your fridge freezer is the heart of your home. It’s there for you all the time. When you come home in the evening and you’ve had a rough day, it doesn’t cast judgement when you take out a tub of ice cream and only one spoon. It doesn’t tell anyone about the extra slice of cake you ate. It even keeps your midnight meet-ups a secret. It’s got your back. So, you should return the favour. 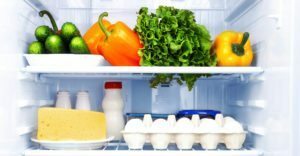 Why is My Fridge Freezer Not Cold? If your fridge freezer doesn’t seem to be doing what it was put on this green earth to do, then you need to do some investigating. It could be something really simple, it could be something more serious at work. Check your fridge thermostat is set to the right temperature. It’s easy to forget that your fridge freezers temperature is adjustable, and someone may have knocked the setting when using it, check this first. Check the motor fan. A broken motor fan can lead to an overheated fridge freezer pretty quickly. Check it’s working, if not then explore the cost of repairing the part. Other parts to check that could be responsible are the condenser, compressor, door seals and the defrost timer. Why Does My Fridge Freezer Stink? If you’re receiving some less than desirable smells from your fridge freezer, there’s a number of potential culprits. The inside of your fridge freezer is more than likely to have a lot of plastic. Plastic absorbs odours. You can clean and scrub the inside of your fridge freezer as much as you can but sometimes that’s not enough. The first thing to do is to identify any rotten food and check the drip tray for the culprit, if they can’t be found, try the following. Put some bicarbonate of soda on a dish in your fridge for about three days. This will absorb odours. If this doesn’t work, try coffee. If the odour smells like strong chemicals or gas, then your fridge freezer could be leaking. Get out of your house and call a technician as soon as you can. Inhaling these gases can be very dangerous. If your unit has condenser coils in it, check that these don’t have any debris on it. The smell could be caused from this debris being heated. If all of these don’t work, are you sure it’s even coming from your fridge? Check underneath to see if any food has found its way under there. Why is My Fridge Freezer Leaking Water? A fridge freezer leaking water is one of the most common issues you will face with your fridge freezer, particularly if it has a water and ice dispenser as so many do. Here are the most common causes and solutions. There’s a blocked defrost drain hole. Use a pipe cleaner/straightened coat hanger/funnel to clean the interior of the hose. This might be blocked by food, causing the leak. If you have a water dispenser, check the water supply line. This may have been frozen or is again, simply clogged. You may have to pull your fridge out from the wall to inspect this, so please exercise caution. Why is My Fridge Freezer Noisy? Your fridge freezer shouldn’t be noisy. As it’s always on, it normally is always making a noise, but this should be very low-level and unnoticeable. If you’re experiencing a loud noise coming from your unit, then this is normally very easily diagnosed. The most likely solution is there is a fault with a mechanical part that will need to be fixed. The most obvious culprits are the condenser fan motor, the evaporator fan motor grommet or the entire evaporator fan motor itself. See if there’s any obvious faults with these, if not you may need the help of someone confident enough to get under the hood and really inspect the different parts. Do You Need a New Fridge Freezer? If your fridge freezer isn’t cold, is leaking water, creating smells or a lot of noise, then you may be able to remedy the situation. If, however, your fridge freezer is over ten years old and these issues are occurring, it’s time to start thinking about replacing the entire unit. If you have tried the solutions we’ve provided above and you’re still having no luck with your fridge freezer and it’s over ten years old, the cost of replacing and repairing can start to travel into a range where it makes more sense to simply invest in a new fridge freezer. Where components of the fridge freezer start to not work at full capacity, the unit’s overall efficiency starts to drop and the cost of running the unit will increase. 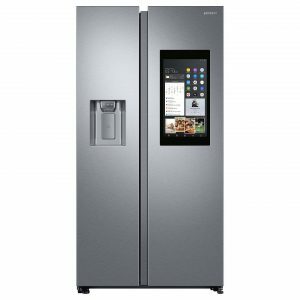 Better to get a brand-new powerful, reliable and efficient model with new modern, contemporary features and capacities than continue to spend money on a dying fridge freezer. Head to our refrigeration section to shop from our full range of refrigeration units, from fridges to fridge freezers. This section also includes our wine coolers and outstanding range of American-Style fridge freezers, too. With other fantastic ranges to shop from including our extraction, laundry and cooking sections with lines of range cookers, washing machines, hobs and more. If you still need help with your fridge freezer and feel as though we haven’t been able to remedy your issues in this post, then please don’t hesitate to get in touch and speak to an expert about your fridge freezer problems.